On Tuesday afternoon twenty-five students climbed the Devil’s Bit along with Ms O’Rourke and Ms Hackethal. The looped walk took approximately two hours, at the end of which the boys enjoyed a welcome picnic of French and German foods. 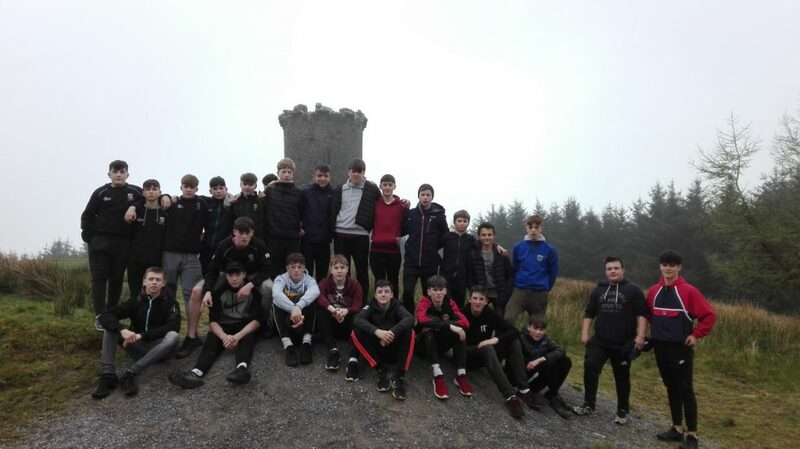 The activity was organised to link wellbeing to their French and German courses and they will write about the hike in their junior cycle portfolios. Although it was a cloudy start to the hike all agreed that it was lovely to be out in the fresh air and it was chance for our international guests Yann, Benjamin, Lukas and Felix to see some local points of interest.